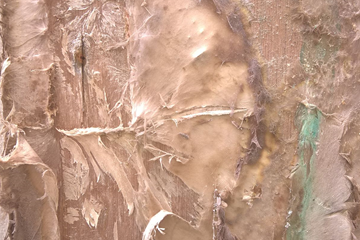 DRY ROT (serpula lacrymans) is a wood destroying fungus best known for its ability to destroy timbers in buildings, feeding off the moisture within the timber reducing it to a dry, brittle, crumbly state with large cuboidal cracking. Using masonry to travel from one source of “food” to another makes dry rot unique to any other wood rotting fungus and explains why dry rot can be so extensive in buildings if not found, identified and treated at an early stage. Once established Dry Rot only needs a timber moisture content of over 20% to remain active so its important that before any remedial works take place the source of moisture is found and repaired. Before the days of double glazing, loft and wall insulation, moisture in the air known as humidity would have escaped from houses through poorly fitted doors and windows and would have been replaced by cooler fresher air. Nowadays with properties sealed tight there’s nowhere for the moisture to go so its deposited as condensate on the cold external wall and window surfaces. 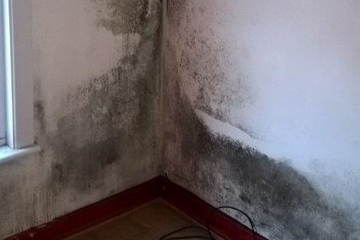 Mould growth due to damp and condensation problems in a property can cause respiratory problems/ respiratory infections/allergies or asthma especially in babies, young children, elderly people, people with existing respiratory conditions and people with existing skin conditions. 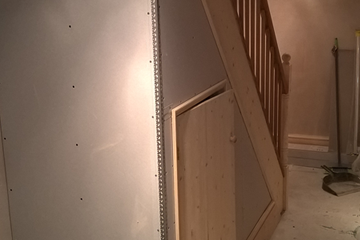 Basements, whether designed into new buildings or present within existing properties can be a great asset, creating a multitude of opportunities for conversion from simple storage spaces to bedrooms, gyms and cinemas. Groombridge Building Preservation provide a free specification service to discuss your needs and expectations and critically the correct choice and position of the waterproofing system to create a long term and effective barrier to water ingress and dampness. Using either the cavity drainage membrane system or heydi k11 tanking slurry supplied from SOVEREIGN CHEMICALS LTD (both supplied with a 10yr guarantee if required) and with Tim Groombridge personally overseeing each project we have the solution to meet your requirements. 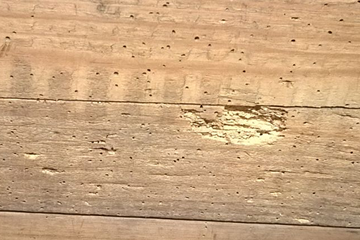 Woodworm is a collective term used to describe any pest insect that attacks the timber in buildings which can lead to structural damage and degradation especially in some older properties. Insect pests thrive in warm, moist conditions making the timbers in a property a prime target for such insects (generally beetles) and it is important to correctly identify those which are pests and cause damage to the structure of the building and those which do not. Common Furniture Beetle, The House Longhorn Beetle, The Death Watch Beetle, the Powderpost Beetle. Rising damp is ground moisture present in the fabric of your walls rising up due to the process of capillary action, as the moisture is drawn up through the masonry it starts to evaporate leaving mineral deposits on the surface of the wall which attract moisture and cause unsightly staining, blown plaster and can cause rot in timber skirting boards, floor boards and joists if they are in contact with the damp masonry. 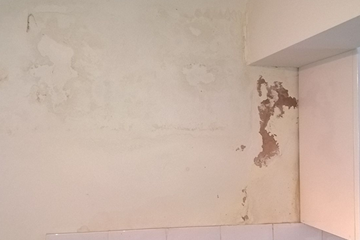 Rising damp can occur as a result of lack of a sufficient or adequate damp proof course installed or from high external ground level or "bridging of the damp proof course". 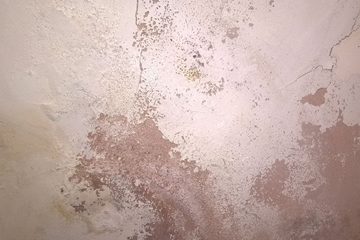 Penetrating dampness is usually caused through external defects in masonry/renders, pointing, faulty rainwater goods or lack of general maintenance, it can cause condensation in buildings from excess moisture produced, damp staining on internal walls/ceilings, plaster to de-laminate from internal wall surfaces and can cause rot in timbers in contact with these damp surfaces. At groombridge building preservation we specialise in repointing and external water repellent treatments which will be supplied with 10 year guarantees if required. Flooding is almost always a disaster for those involved. with damage to property that can be costly and disruption to family life it can be a highly stressful time. 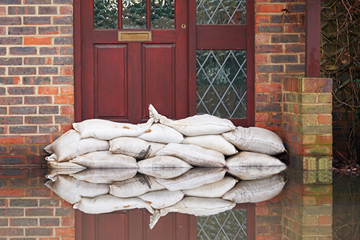 In the unfortunate event of damage to your property due to flooding we use a proven system for faster re-entry back into your home which doesn’t require lengthy drying out periods before renovation works can commence. It is approved by many local authorities, loss adjustors and insurance companies.